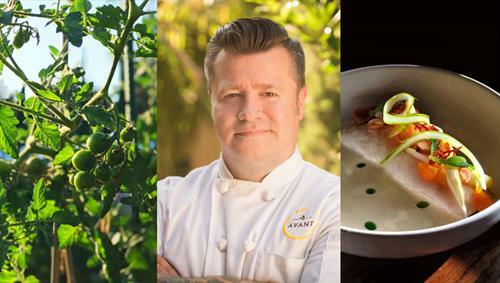 Join us at Avant Restaurant's Table 65 for unique dinners influenced by cuisine minceur (literally meaning ‘slimming cooking’), a style of cooking pioneered by Michelin star chef, Michel Guerard. Using techniques learned in France, AVANT’s culinary team will present you with light-style, healthful dishes that are extremely flavorful. Whether anti-inflammatory focused, vegetable-forward or full cuisine minceur (limiting the use of starch, sugar, butter, and cream), guests will enjoy a true culinary experience. Guests will leave with a menu and a list of local farmers’ markets to inspire future creations.